Word of the Year: Cash Flow - Lucrum Consulting, Inc.
For a small business to succeed in today’s marketplace, it’s imperative that the owner or management team know its numbers. Creating a robust and accurate cash flow forecast for the upcoming year is probably the single biggest tool to help businesses stay out of the red and on the path to profitability. As a result, cash flow forecasts have a vital part of any business plan. That’s why the Lucrum Consulting team has named “cash flow” its Word of the Year, and compiled the following tips for business owners to consider when creating their company’s cash flow forecast in 2019. When it comes to developing a cash flow forecast, there unfortunately isn’t a “one size fits all” model. That’s because every business is different. As a result, it’s important for business owners to evaluate which cash flow method is the right fit for them. Thankfully, there are several to choose from, including an annual “sources and uses” report or a rolling 13-week document. Just know, regardless of which approach is chosen, it is essential that good assumptions are made and correct data is used in order to generate reliable results. 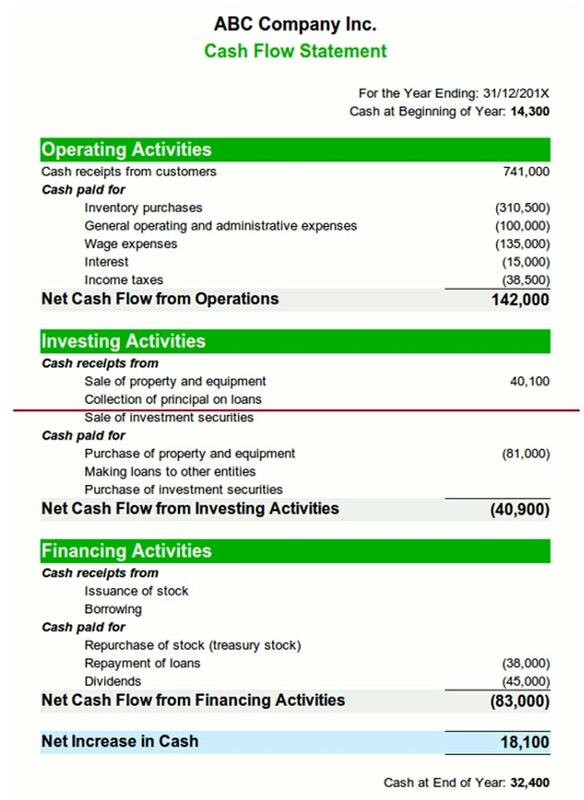 For a discussion of these or other ways to calculate cash flow, visit: https://courses.lumenlearning.com/boundless-accounting/chapter/calculating-cash-flows. Once a method is selected and put into practice, review the forecast regularly to compare the business’s projected numbers with its actual results. Lucrum likes to break its client’s activity down into three sections: operating, financing and shareholder activity. At the top is “beginning cash” for the period, and “ending cash” is the last number in the bottom of that column. Anything that results from what the company is in business to do goes into the “operations” category. Debt repayments, loan draws, line of credit and credit card activity go into the “financing” section. Lastly, owner salaries, distributions or other perks go into the “shareholder” section. Side note: this format is different from the GAAP statement a business owner might get in an audit; however, feedback from Lucrum’s clients tells the team that this is a much easier to understand document. What should entrepreneurs look for when conducting their monthly review? “Negative numbers in the ‘operating’ section,” explains Alexander. “This signals the business is not generating positive cash flow from their operations and is probably using financing to cover the gaps. This can be a recipe for disaster unless it’s being done for a specific, well planned reason.” So review, review, review. It cannot be overstated enough. Keeping a watchful eye on cash flow pays dividends over time. Business owners who consistently analyze their forecast are able to track and keep better records of their company’s financial history, ensuring its long-term health. This is invaluable, especially if the business owner should need to apply for a loan in the upcoming year. Forget about collateral or security, the #1 thing banks are looking for is a source of cash flow for repayment of the loan. Therefore, be vigilant; it could mean the difference between the business securing the financial funding it needs or having to look at other, more expensive alternatives. Business owners: cash flow often begs the question, “is the business generating enough cash flow to accomplish X in the coming year?” Entrepreneurs seeking to answer that question with a resounding “yes,” should start by establishing a cash flow forecast to fix any potential problems in advance. Need help forecasting your company’s cash flow? Contact the Lucrum team for assistance at 704.927.0462.